Narbeleth are a band from Cuba that has been featured before in this zine and plays a very dark, raw and blasphemous form of black metal and this is a review of their 2015 album "Through Blackness, And Remote Places" which will be released in August by Folter Records. A very fast and raw black metal sound starts off the album along with a decent amount of blast beats and a few seconds later grim screams start becoming a huge part of the recording and the songs also bring in a great mixture of slow, mid paced and fast parts and you can also hear some morbid sounding melodies in some parts of the songs. Most of the music is very heavily rooted in the 90's second wave black metal style and you can also hear all of the musical instruments that are present on this recording and the faster sections of the songs also bring in a great amount of tremolo picking and in some parts of the songs the vocals get very angry and menacing sounding and all of the songs stick to a heavy musical direction and they close the album with a cover of Judas Iscariot's "Gaze Upon The Heaven In Flames". 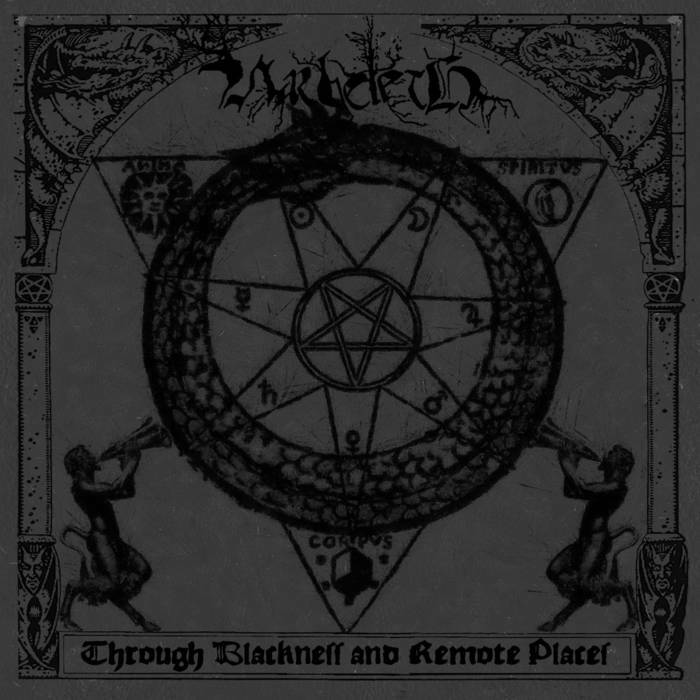 Narbeleth creates another black metal album that is in a very fast, raw and blasphemous second wave direction and ignores any of the current style to return black metal back to its roots, the production sounds very raw and old school while the lyrics cover Darkness, Occultism and Blasphemy themes. In my opinion this is another great sounding recording from Narbeleth and if you are a fan of fast, raw, and blasphemous old school black metal, you should check out this album. RECOMMENDED TRACKS INCLUDE "Sons Of The Grand Cosmic Emanation" "The Lightbringer" and "Gaze Upon The Heaven In Flames". 8 out of 10.